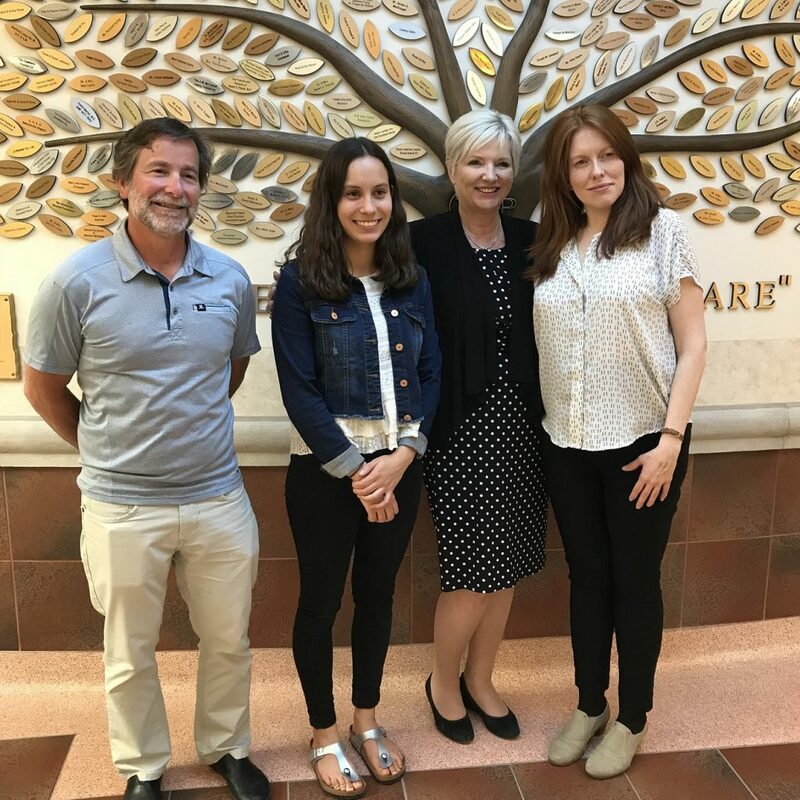 Lévika Gonzalez, winner of the 2018 BMP Scholarship, with jury member François Riendeau, Lola Landes, Executive Director of the BMP Foundation, and Rosane Rivard, member of the jury. 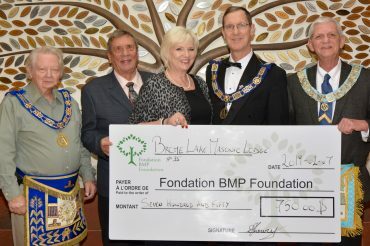 In 2019, the Chawkers Foundation has given a generous contribution to the BMP Foundation, which not only allows the pursuit of the Bursary program (CEGEP and high school) for the years to come, but also made possible the creation of a second bursary for a CEGEP student: The BMP Scholarship – Health Care and the BMP Scholarship – Nursing. The BMP Scholarship – Health Care is open to graduating students from Brome-Missisquoi high schools who are pursuing studies in health care. 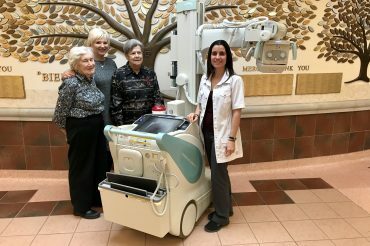 The program is designed to encourage local students to pursue a career in health care and, at the same time, to develop a positive working relationship between the community and the BMP Hospital. The BMP Scholarship – Nursing, on the other hand, targets future nursing students only and encourages young people to get involved in this environment that is currently in need of workers. Both scholarships offer an amount of $1,000, renewable annually throughout the student’s college program, for a maximum of three years. The two scholarship winners will be selected by a Selection Committee composed of a director of a school institution, a BMP Hospital staff member and a person from the community. The BMP Hospital Foundation sincerely thanks the Chawkers Foundation for their support towards the students of the area! To establish and nurture a positive working relationship between the recipient and the BMP Hospital (CIUSSS de l’Estrie – CHUS La Pommeraie) as a possible place of future employment. The program is open to any graduating high school student, who resides within the Brome-Missisquoi territory, and who wish to pursue studies in a health care profession, associated with the BMP Hospital. A proof of residency, such as a report card or an official grade report, must be attached to the application form. The two recipients will each receive a $1,000 scholarship (awarded in two instalments), renewable each year of their CEGEP studies, for a maximum of three years. School reports for the previous year and for the current year. The final date for applications is April 1 of each year. NB: The BMP Foundation reserves the right to not award a scholarship in any given year. Applications for the scholarship must be received by April 1st, 2019, inclusively. The Foundation also supports the local high schools to provide awards of excellence for graduate students who wish to continue their studies in the healthcare. Students are selected by their school. The BMP Foundation organizes guided school visits for students at the end of their course from the four regional high schools to enable them to discover career opportunities in the healthcare field at the BMP Hospital. Each year, 60-70 students go on these one-day visits and are exposed to careers in medicine, nursing, laboratory, pharmacy, physiotherapy, occupational therapy, medical imaging, and respiratory therapy.